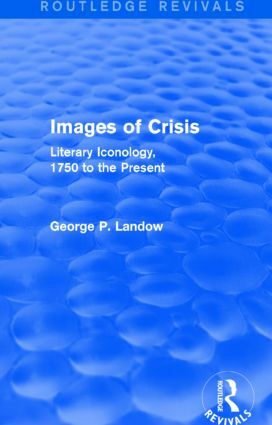 First published in 1982, Images of Crisis explores the premise that literature and art exploit various images to present culturally prevalent ideas, and thus create their own form of iconology. George Landow shows how the tumultuous history of the past two hundred years has resulted in a plethora of metaphors associated with moments of human crisis. Avalanches and volcanoes emerge as focal images in an aesthetic that concerns itself increasingly with the vulnerability of humanity. However, it is in the transformation of traditional religious images that the ideas of the vacant universe are most dramatically presented. Associated with this central idea are ironic transformations of other images that formerly had been associated with Christianity as paradigms of belief: the journey of Odysseus, the rainbow of the Covenant and Robinson Crusoe. Combining close textual analysis with a theory of literary iconology, this fascinating reissue will be of particular value to students with an interest in literary images, and literary and cultural history.